The smiling white-coated waiter glided up to our rooftop table and introduced himself as Paul. “I understand there are some food allergies at this table,” Paul said, handing us leather-bound menus. 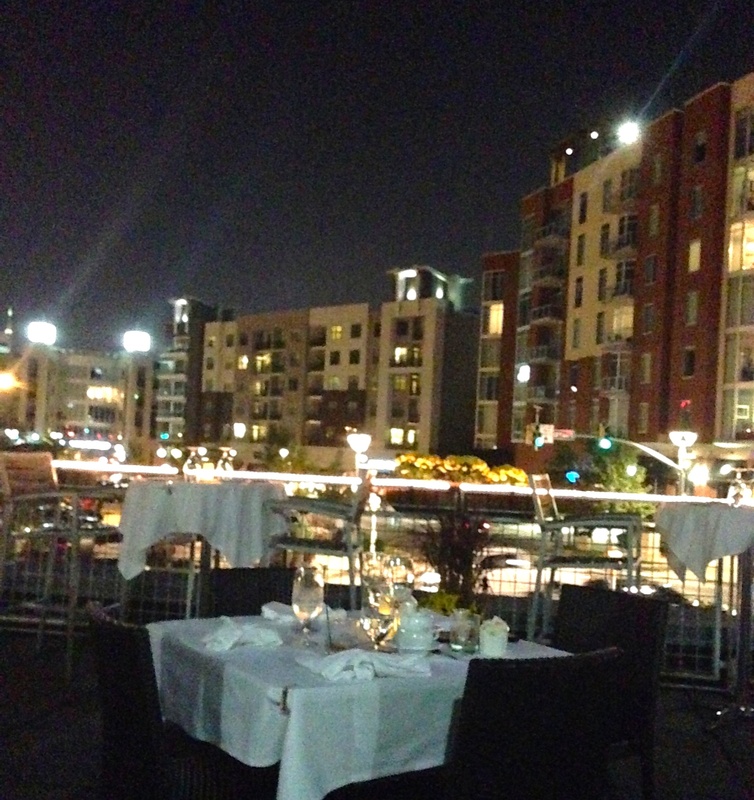 When I’d made the reservation for Watermark Restaurant in Nashville on Urban Spoon, I listed my son’s and my celiac disease as well as my allergies to soy and dairy. We were driving through Nashville on our way home to Colorado and wanted to have a special family dinner with our college boy. 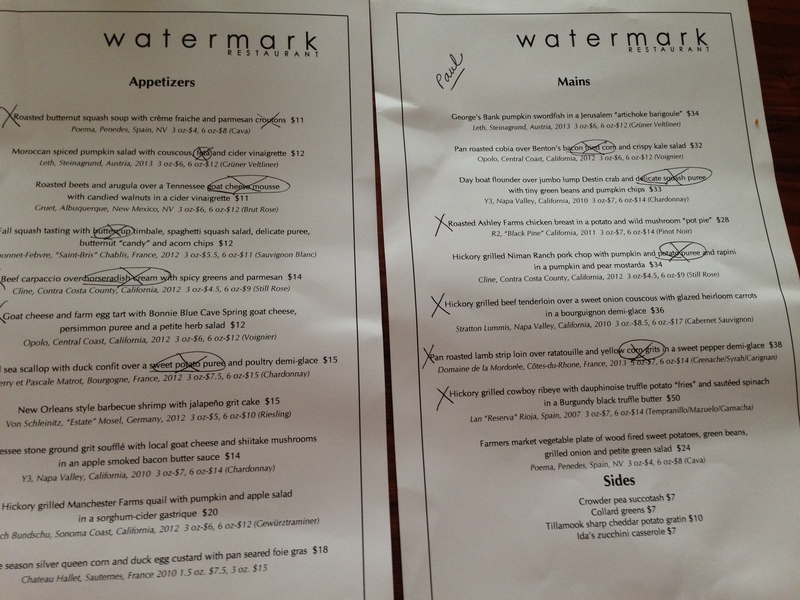 Watermark was on our bucket list of restaurants to try. His words were music to An Allergic Foodie’s ears. I told him how much I appreciated his efforts. Little did he know I had recently had a terrible experience when a chef didn’t want to communicate with the waitstaff and didn’t take my food restrictions seriously. I actually think this demon chef, as I’ve come to call him, intentionally “poisoned” me by including allergens in my food. After taking our drink orders, Paul then told me because we had decided to eat outside, he didn’t have our table. I panicked. I wanted Paul! The waiter who had done his homework to provide a complete stranger with a safe meal. We considered changing to an inside table, but after a day in the car driving for eight hours, we were enjoying the pleasant evening air. This was a first. A waiter who fully admitted food allergies alarmed him. I appreciated the other waiter’s honesty, especially since it meant I got Paul back. I’ve often witnessed a waiter’s anxiety over serving me, but I’ve never had someone pass the reigns to a waiter who was more experienced and comfortable with special dietary needs. Kudos to the waiter who didn’t want to serve me for the right reason–not because I was a pain in the neck, but because he wanted to keep my son and me safe. Executive Chef Joe Shaw’s food was heavenly. Each of our appetizers and main meals were a work of art and just as delicious as they looked. For appetizers, Steve had pan-seared scallops with duck confit over a sweet potato puree and poultry demi glace. 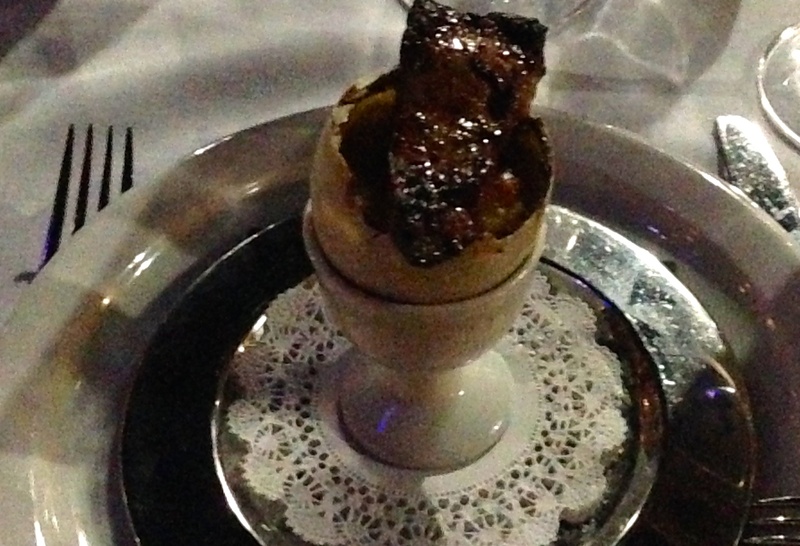 I had New Orleans style barbecue shrimp, and George had corn and duck egg custard with pan-seared foie gras. 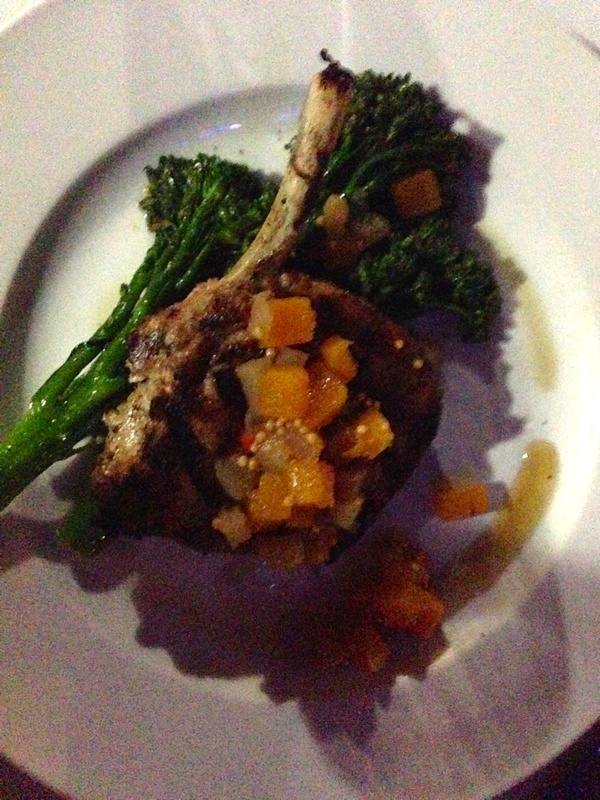 Watermark uses a wood grill–absolutely no gas–that lended my main dish, a Niman Ranch pork chop a mouth-watering hickory flavor. Even the rapini melted in my mouth. Steve had lamb on ratatouille and George had his usual ribeye though he said there was nothing usual about it. Since developing food allergies and celiac disease I’ve had more terrible experiences than good ones. But Paul gave me hope that there are those in the restaurant industry who do take my son’s and my health seriously–and who take pleasure in serving us. Thank you, Paul, for renewing my faith. Renewed Faith: A Waiter Who Cared first appeared at Adventures of an Allergic Foodie. Great article! I am going out to dinner this Saturday with my hubby and another couple. Luckily is Seattle area I have been able to eat at Daniels Broiler in Bellevue. With 20 food allergies it gets so scary to ever eat out but this chef and wait staff have always been helpful AND they keep my information in the computer so when I call to make reservations, they immediately know my food allergies and go over them with me when I make reservations. Christina, Sounds like you will have a wonderful night! We need to recognize the GOOD restaurants and chefs and waitstaff so more will take care of our special dietary needs! Have fun. 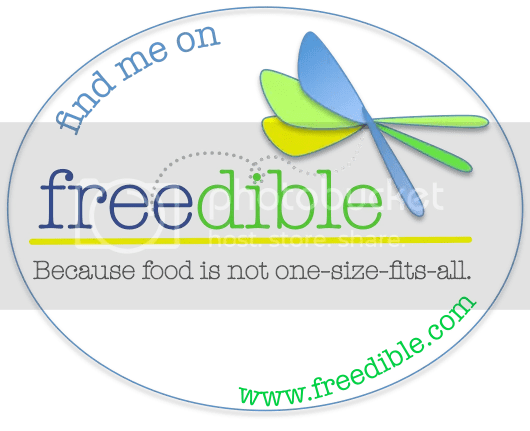 I will have to remember the Watermark, my food allergy husband is going to be in Nashville for a conference next year. Restaurants are so hit and miss with food allergies. When you find one so willing to work with you they become an instant favorite. As a marketer I wish more restaurants understood the growing market they are excluding when they don’t take food allergies seriously.